KOA now offers an advanced version of the proven SG73P-series. The Thickfilm SG73G-series is characterized by low resistance tolerance (0.5% or 0.25%) and a low TK (±50 ppm/K). This is possible because KOA optimized the resistive material and the production process. The SG73G-series has the same one-pulse characteristics as the SG73P-series. Until now three sizes are available, 0603, 0805 and 1206, the power rating is up to 0,5W. 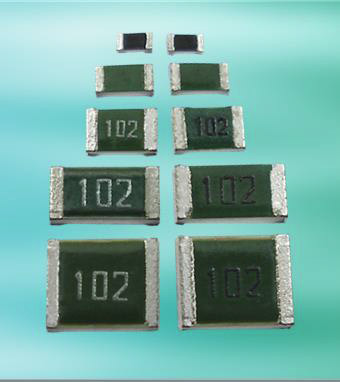 The resistance range is between 10 Ohm and 1 MOhm, the operating temperature is up to 155°C. SG73G is part of the SG73 family. With the SG73-series, KOA offers a resistor series which has approx. 10 times higher pulse handling capability compared to standard flat chip resistors. Standard SG73 with Tol. 10% and 20% (no trimming) provides the best anti-pulse performance. SG73P and SG73S (anti-surge type, e.g. ESD) are available with Tol. 1% and 5%. All SG73 versions are tested according the AEC-Q200 requirements.